Organized and enthusiastic, Rebecca thrives in interactive team environments and believes that integrated, sustainable design results from a combination of teamwork and clear communication. As a project manager specializing in education facilities for the arts, sciences, and other learning environments, she fully immerses herself in understanding the unique program and facility goals of her clients. Rebecca makes certain that her design teams integrate the multi-faceted and unique planning criteria of an institution’s spaces from early programming definition to discipline coordination in working drawings. Her ability to plan and integrate complex systems into highly-functional and effective spaces is reflected by the success of her projects. 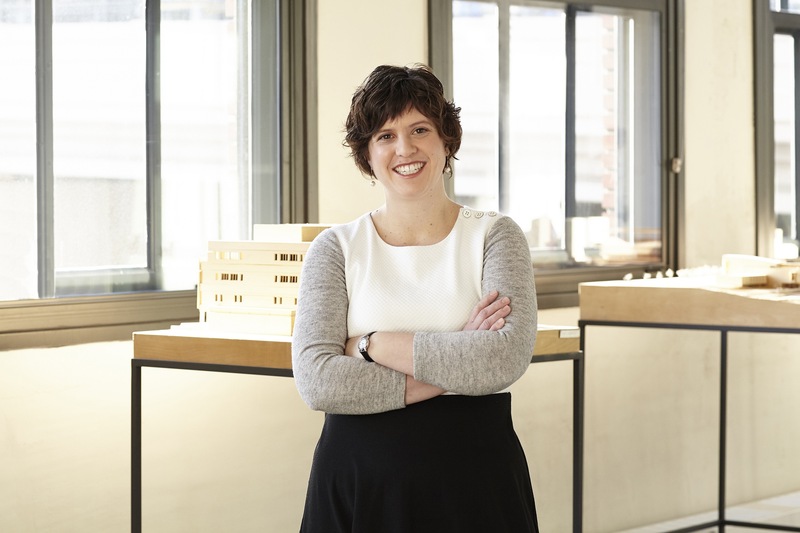 Recognized for her leadership and contributions to the design industry, Rebecca was awarded the AIA Minnesota Young Architects Award in 2015. I love the challenge of creating custom solutions that meet clients’ needs. Managing a team means making sure every team member—whether client, contractor, or designer—has a chance to share ideas and build off one another’s specific talents. I gain a great deal of professional satisfaction working with smart, creative people and sharing in their passion to create meaningful architecture that works.